Earned A Steemit Blogging Certification on Udemy Last Year. For the last couple of years, I got really sidetracked with learning about bitcoin and cryptocurrency. For the most part, I put my entire life on hold as I learned the ins and outs of cryptocurrency trading. 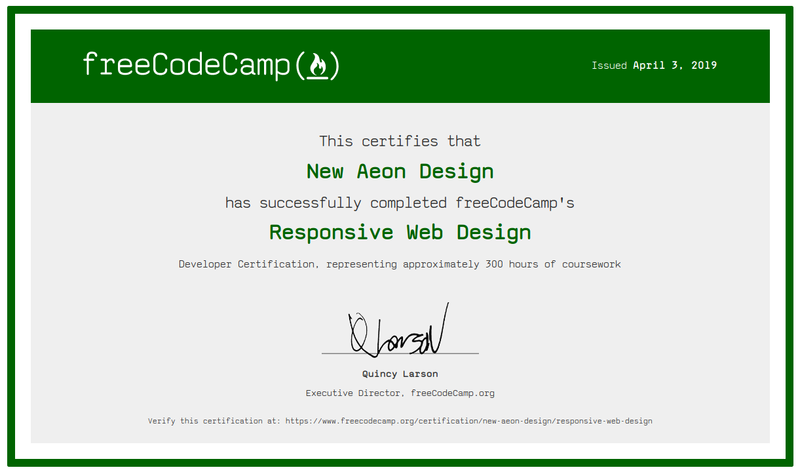 I discovered cryptocurrency by accident as I was looking for a payment processing option for New Aeon Design. I pretty much ended up putting this business on hold and went full-time cryptocurrency. I’ll post more about cryptocurrency in a later blog. I ended up registering bitcoindood.com and began working for cryptocurrency as Bitcoin Dood. After playing around on the site for a while I decided to take a course on Udemy. It was just a course that explained a little about STEEM the cryptocurrency and the Steemit blogging platform. 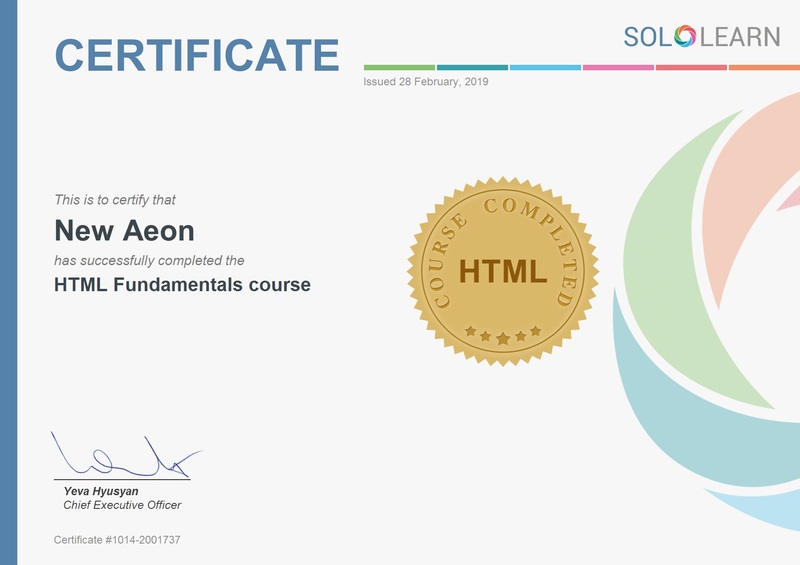 It was a fun course to take, and I thought I would share the certificate here. 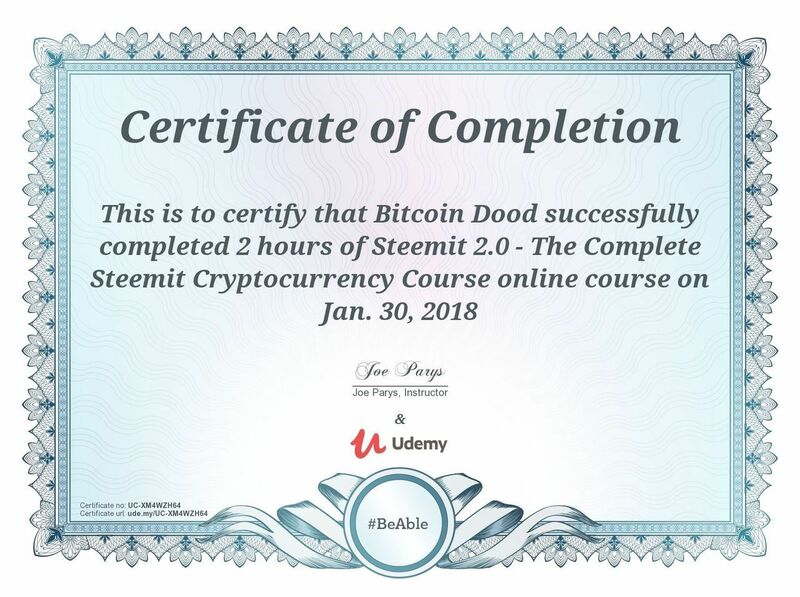 Udemy course certificate of completion on the Steemit blogging platform. If you’re looking for consultation on blogging or would like some help with your blogging design, feel free to contact me. This entry was posted in Blogging, Steemit and tagged awards, blog, blogging, certificates, steemit on January 11, 2019 by NewAeon.